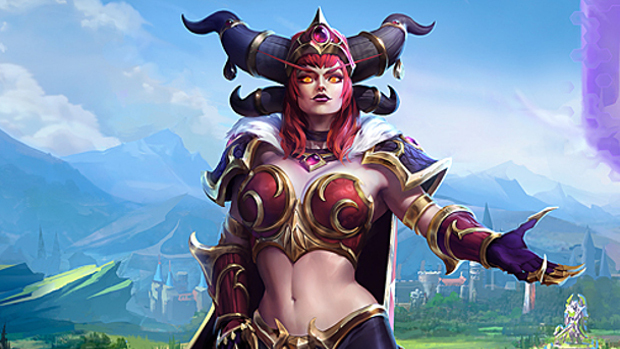 Alexstrasza, one of the two dragon related characters announced for Heroes of the Storm during the recent Blizzcon event, has made her way into the Nexus. Alexstrasza is Heroes’ latest Support Hero. All of her abilities have a pretty sweet dragon spin on them, including the Trait: Dragonqueen, which allows her to transform into a dragon and earn all the benefits associated with that form. To celebrate the first of the Dragons entering the Nexus, the update also kicks off a new “Dragons of the Nexus” event quest. It’s a three part chain that requires players to play a certain amount of matches or achieve takedowns to earn rewards. Players can earn additional rewards by logging into the game during the event. For more information on the update, Alexstraza and the rest of the update, hit up the patch notes on the Heroes of the Storm site.